Lawrence Markey is pleased to announce our upcoming exhibition of work by Fred Sandback (1943–2003). 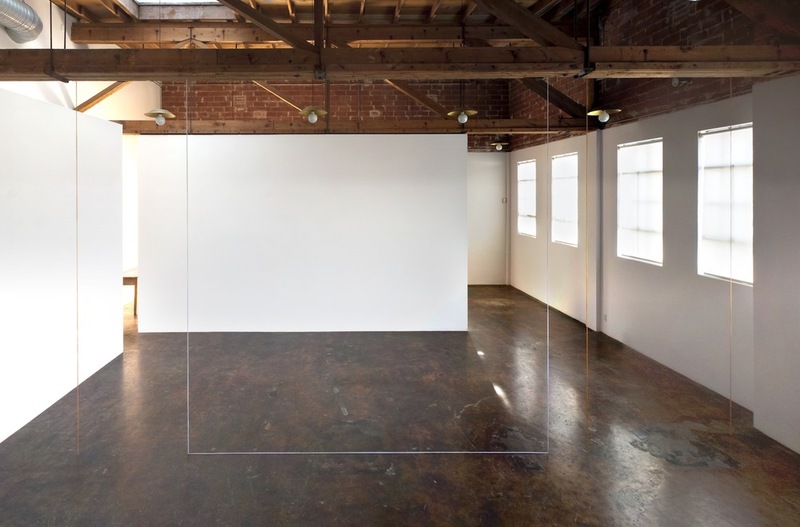 This will be the ninth one-person exhibition of Fred Sandback's work at Lawrence Markey, including exhibitions which inaugurated the New York gallery space in 1990 and the San Antonio gallery in 2005. This exhibition will feature a sculpture made from Sandback's signature material of acrylic yarn. The form of this sculpture, originally installed in the exhibition Fred Sandback Vertical Constructions at the Westfälischer Kunstverein, Münster, 1987, is a gray "U" shape, flanked by a single ochre vertical on one side and two ochre verticals on the other side. A selection of related works on paper by Fred Sandback will accompany the sculpture. Does a space have a shape if it has neither a basic form which can be directly perceived as a totality, nor has definite bounds? Under these conditions is a sculpture still a sculpture? Fred Sandback is aware of this edge when he talks about his being fascinated by something both existing and non-existing at the same time and says he is interested in making a certain place or volume conceivable in its full materiality without occupying or obscuring it. Amid upward stretching cords, as they are installed in the Westfälischer Kunstverein, this peculiar interplay of vacancy and volume becomes manifest. And it is remarkable how the character of the work is reflected in one’s own sensation, how for instance, the non-heaviness can directly be sensed. There’s an inherent transience to my work. Many larger pieces may only exist for a few days in a particular place, before being put away indefinitely. They are in principle always able to come into existence again at a future time, but will then be part of a new situation. If I remake a piece in a new place, it’s a different piece. If I remake a piece in the same place, it’s still bound to be a different piece than before.